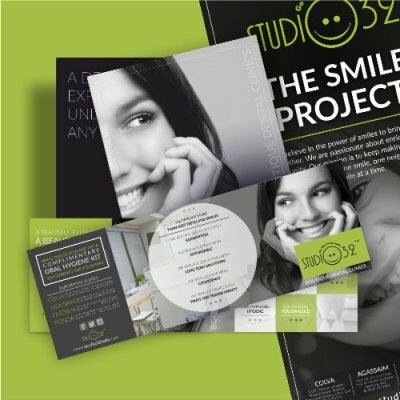 Studio32 is a completely immersive sensory and therapeutic studio with highly skilled and experienced dentists who work towards enhancing happy smiles & satisfied customers. Deviant strokes had the opportunity to work with Studio32 in their quest to create happy smiles. We are happy to work with Dr Paresh Lotlikar in crafting the entire marketing collateral for studio 32. The Marketing collaterals for Studio 32 included Premium Folders & Brochures, Handouts , Digital Posters , Prescription pads& Detailed Case sheets , Visiting Cards etc.